Check out this image posted by Ange Rhodes! Ange reminds us how convenient and efficient technology has become! Doesn’t this picture say it all? 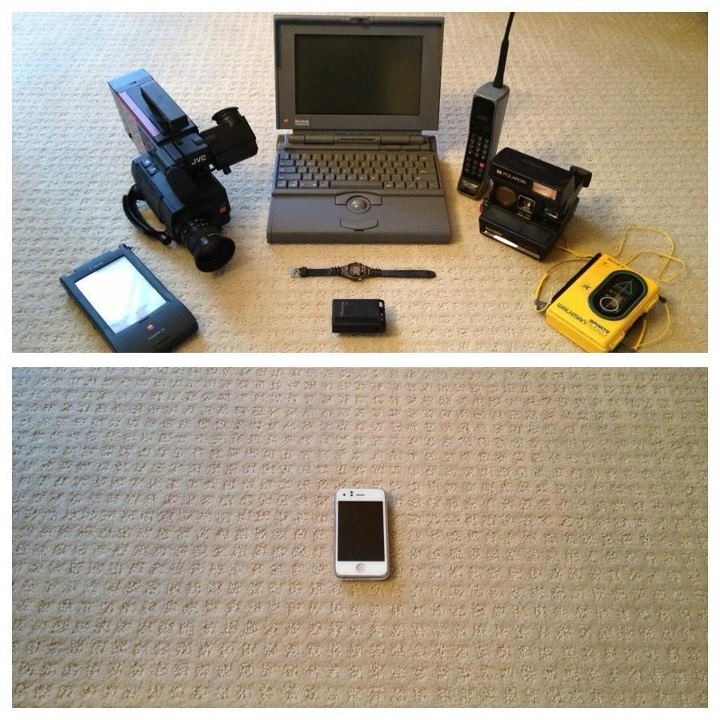 It’s crazy to think that all of the devices showed in the top image are all condensed into one in the bottom image! I have an iPhone and I use it for just about everything- maps, internet, camera/ video camera, social networking, torch, calorie counting, calculator, clock, alarm clock and of course for phone calls, text messages and sharing images. I can’t imagine having a separate device for each of these tasks and having to carry them all around in my handbag- not convient at all! Technology really does make things simpler and more convenient.